An Action Packed Week Ahead! Home – Announcements • Events – An Action Packed Week Ahead! You’d certainly be forgiven for thinking that the season never ends, because we have a massive week ahead at the Leeming Spartan Cricket Club despite the fact it’s the middle of August! Make sure you get involved Wednesday, Thursday and Saturday next week as preparations for the 2017/18 season go into overdrive! Read on below for more information regarding each event! At the Clubhouse from 6:00pm! At Courtside Multisports from 6:00pm! One Game At The Clubhouse from 12:30pm! We cannot stress enough the fact that this meeting is open to absolutely everyone – please make a concerted effort to attending as the evening will prove to be highly informative for all Spartans past and present. Please note that the Club will not personally ask anyone to attend due to the complexities involved and large number of Spartans to reach out to, and this blanket message serves as your formal invitation. Simply put, we want you there and we want your input! Our 2017 Crystal Finance Pre-Season Training begins on Thursday August 24th at Gold Sponsors’ Courtside Multisports, with a great number of sessions planned all at perfect times! 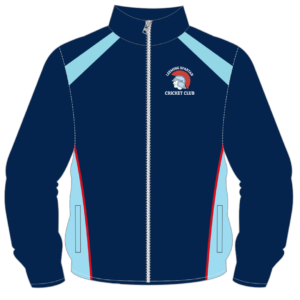 We should also note that our Crystal Finance Pre-Season training sessions are open to anyone and everyone, from current members, prospective Spartans, absolutely anyone and of any grade or capability! We’ll have the place to ourselves, meaning there is a perfect opportunity for everyone to get involved, have a hit, roll the arm over, and get ready for season 2017/18, our 99th and 100th years respectively! The Spartans have another WinterT20 fundraiser on Saturday August 26th, at our clubhouse on John Connell Reserve, and everyone is invited! Get down from 12:30pm for one massive game that always proves to be a great deal of fun! We’ll have the ‘bar’ open, our cheap drinks and meals available, and it serves as a great and relaxing day out ahead of our 2017/18 season. WinterT20 returns Saturday August 26th from 12:30pm. Everyone is invited, and you can nominate to play by texting Coombsy on 0438 005 493! This is of course a hugely important fundraiser for the Club, as we need to prepare for significant costs ahead of our regular season and our one hundredth anniversary! 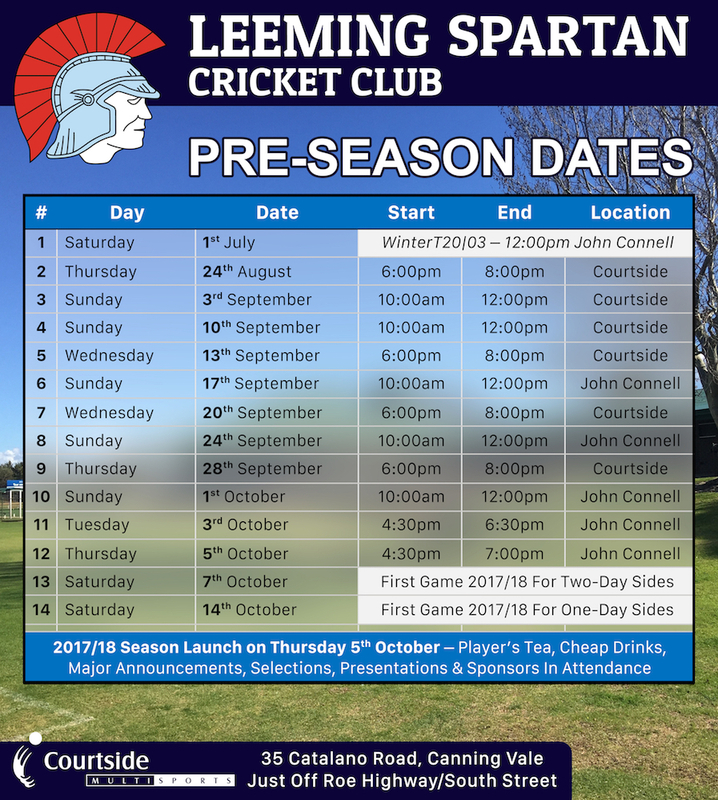 Please get down to John Connell Reserve and support the Leeming Spartan Cricket Club! A Heap More To Come! Additionally, there’s a whole lot more to get excited about in the lead up to our Season Launch on Thursday October 5th!